Jeff Francoeur will become the lead analyst on the Braves’ telecasts on Fox Sports South and Fox Sports Southeast. The Braves will juggle the lineup in their broadcast booths for next season. The biggest change is that former Braves outfielder Jeff Francoeur will replace veteran broadcaster Joe Simpson as the lead analyst on the Fox Sports South and Fox Sports Southeast telecasts of games. Simpson, a member of the Braves Hall of Fame, will remain part of the broadcast team for a 28th season, shifting to radio for a large number of games and also working a limited number on TV. Simpson said he was “surprised” by the extent of the change. Fox Sports South/Southeast general manager Jeff Genthner and Braves CEO Derek Schiller described the change as a joint decision by the network and the team. Genthner said Francoeur will work about 100 TV games, “plus or minus 10 games.” Former Braves pitcher Tom Glavine also will work an increased number of games as an analyst, Genthner said. Chip Caray will remain the TV play-by-play announcer. On radio, the Braves plan a four-man rotation featuring voices familiar to the team’s fans: Jim Powell, Simpson, Don Sutton and Ben Ingram. The plan is to have two of them in the booth per game, Schiller said. Powell “will do less games than he did this year but not by a whole lot,” Schiller said. Genthner and Schiller said in separate interviews that the replacement of Simpson as lead TV analyst was not related to two controversial remarks he made on the air during the 2018 season – criticizing the Dodgers’ attire during batting practice at SunTrust Park and questioning the age of 19-year-old Nationals outfielder Juan Soto. Asked if he felt the incidents affected the decision, Simpson said: “I would sincerely hope not. … If that was not part of their decision-making process, then I am glad about that. Genthner said the change in the TV lineup was driven by the talent Francoeur has shown as a broadcaster during occasional opportunities the past two seasons and by Simpson’s stated desire to scale back over the next couple of years. “I anticipated scaling back to 120 or 130 (TV games), not to 20 or 30,” Simpson said. Joe Simpson has been a Braves broadcaster since 1992. Even so, Simpson said he appreciates the opportunity to call games on radio. Earlier in his career, he split time between the Braves’ TV and radio booths, but he has done exclusively TV since 2007. He said he expects to work around 100 games on radio next season. “I loved doing radio play-by-play, and I’ll be able to get back to doing that,” Simpson said. “So if there’s a flip side that is good to this, it’s that the Braves gave me that opportunity to do a ton of radio. I’m very excited about that and grateful to them. The changes bring a big opportunity for Francoeur, who completed a 12-year major-league career in 2016 and then began breaking into broadcasting. 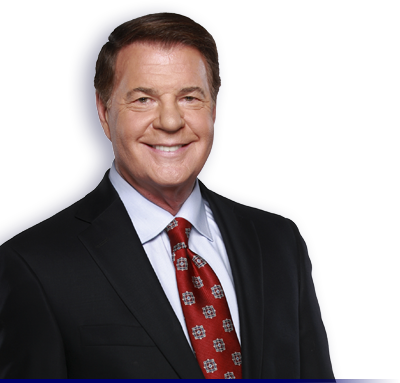 He served as an analyst on nine Braves telecasts in 2017 and 25 in 2018. Fox and Braves executives are big fans of Francoeur’s broadcasting potential. “He’s really good, and if he we didn’t sign him he might not be available to us in two years,” Genthner said. “Another thing I’m excited about is the opportunity to increase Tom Glavine’s presence,” Stephens said.